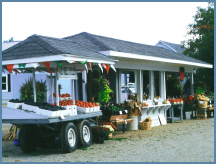 Join us at Yerico Farms for some of the freshest fine fruits, vegetables, and baked goods you'll find across Chautauqua County. We are open from June to November, and every season we welcome thousands of families to enjoy a day out at our U-pick farm or a stop at the country market. To receive emails with the latest news from Yerico Farms, please fill in the form below with your information. This mailing list is for informative purposes only; we never send spam! Fresh Fruits & Vegetables from June to November! Stop by on your way home from work, or stay longer and experience all the delicious produce we have available. Maple syrup, honey, kettle corn, fresh jams and jellies... and more! Our locally harvested fresh fruits and vegetables are grown in accordance with eco-friendly growing practices. We never spray with pesticides or other chemicals, unless in dire situations. After generations of farming practices in our family, we have become known as "growers for taste" - meaning that we do everything we can to ensure the most flavorful food experience for our customers. Similar to environment in Napa Valley California, our farm is located along the Lake Erie Escarpment, with soil composed of rich nutrients. This organic make-up is ideal for growing fruits, vegetables, and other fresh products that have become known for their delicious flavor and taste. Every season we welcome people from across Chautauqua County, Erie County, Cattaraugus County, Russell, PA, as well as visitors from around the world. Copyright © 2018. All Rights Reserved. 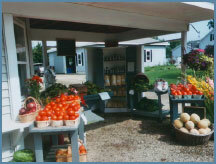 Yerico Farms.